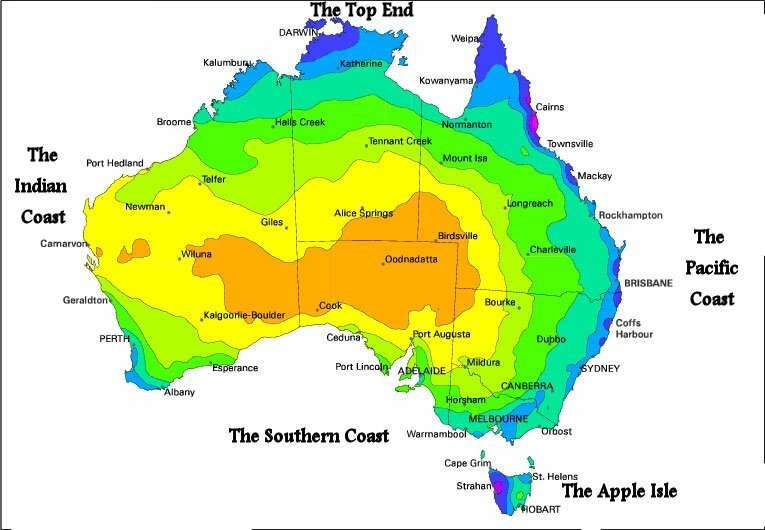 Covering about one third of Australia, Western Australia is largely unpopulated with 12,889 km of coastline. Bibbulmun Track is 964km stretching from the Perth hills to Albany on the south coast. An excellent coastal trail begins at Le Grand Beach, Cape Le Grand National Park. By day’s end you can make it to Rossiter Bay (15km) via Hellfire Bay, Thistle Cove and Lucky Bay. In the south-west about 10,000 people walk the Bibbulmun Track each year. The track passes the famous Gloucester Climbing Tree which offers a challenging climb that ends in a superb view over forest and farmland. In busy times there’s often a queue of people waiting to climb, so it pays to get there early! The Stirling Ranges National Park is known for its wildflowers and there are a number of walks detailed. Nuyts Wilderness Walk in the Walpole-Nornalup National Park is a 2 day trek. Motorised transport is prohibited so it is a bushwalkers paradise. D’Entrecasteaux National Park contains more than 130km of protected coastline. Mt Chudalup Walk – a short steep 1km and offers views over the Park. North of Perth Yanchep National Park offers easy walking through flat terrain. The Pinnacles Circuit in Nambung National Park offers a fascinating landscape of limestone pinnacles. Mt Augustus (Burringurrah) National Park contains the world’s largest rock, Mt Augustus and is twice the size of Uluru. To climb to the summit (1106m) takes about 6 hours. Karijini National Park, 1400km north of Perth contains spectacular scenery, rugged, ancient, remote with a variety of arid-land formations.